This recipe comes from Delicious Dishes for Diabetics–post publication we’ve dined on it several times at friends’ houses! It’s a boon for busy people. It’s simple to prepare and good for company because you can prepare the sauce ahead of time. Then it’s just a matter of reheating the sauce fifteen minutes before you are ready to eat, slipping in the fish and minutes later–hey presto! Heat the oil in a pan large enough to take all the fish in a single layer. Add the onion and garlic and cook gently until the onion is soft and the garlic begins to colour. Add the parsley and stir in. Turn up the heat and add the wine – let it bubble for a minute or so. Add the tomatoes and fold them in. Turn the heat down and, stirring occasionally, cook gently for 20 minutes. When you are ready to use the sauce, bring it to a simmer. 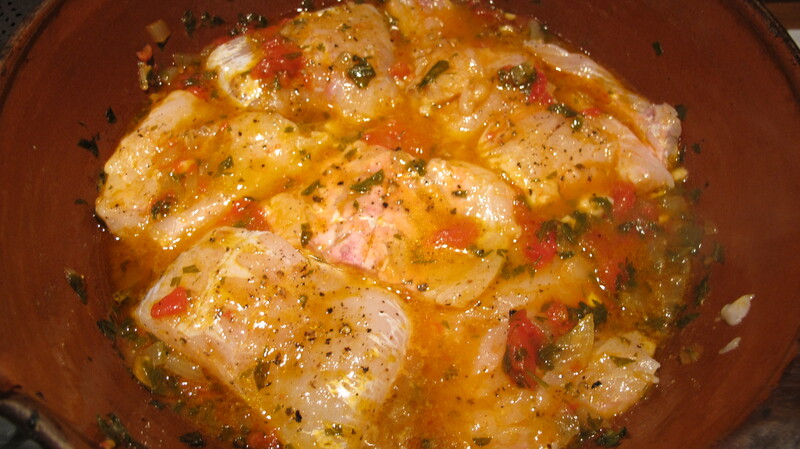 Add the fish and cook gently for about 5 minutes. We had it with brown basmati rice and green beans for a simple supper at our friend Ann’s the other night, under a starry sky. This sounds wonderful. With only a few more ingredients you will have Bouillabaisse. Crusty french bread and a bowl of your fish stew will be enjoyed by my family very soon. on August 25, 2013 at 9:34 pm | Reply Dianne P.
Looks so fabulous!! I just gave your book to 2 people, with diabetes or near-diabetes. They are both so excited to have it – and to try out all the recipes! Can’t wait till your new book is published. Blessings to you for sharing your love of great, healthy food!! Looks fabulous!! I just gave your book to two people – one is a diabetic, and one with near-diabetes diagnosis. They are both excited, and can’t wait to try out your recipes. Thank you for sharing your love of healthy and delicious food!! As you say, Robin — ridiculously easy. Also, ridiculously delicious. 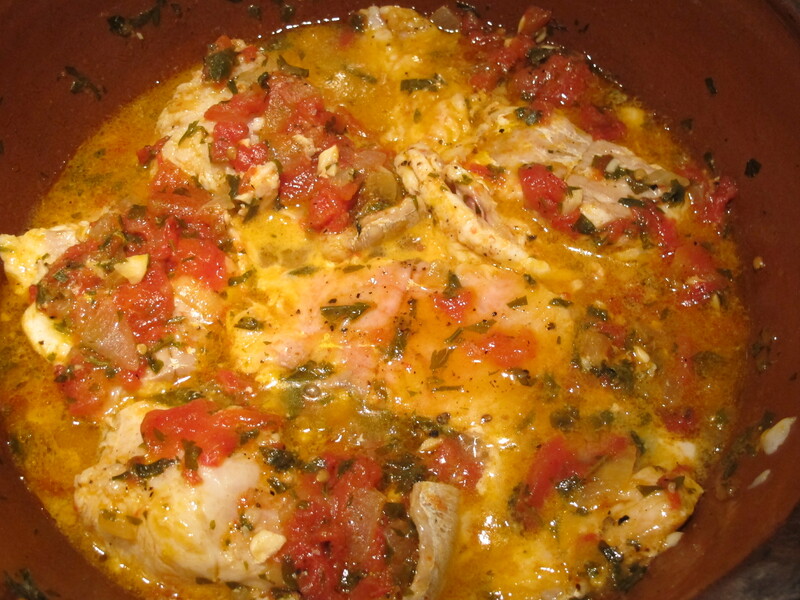 This evening I made it with what I had on hand — (thawed) frozen cod fillets, grape tomatoes, and fresh oregano instead of parsley. I want to make it according to your recipe and also to keep experimenting. Bravo! Made this with fresh cod. Very pleased with the results. Only additions were red pepper and some cauliflower florets to make a one dish meal . Thanks for a simply tasty meal!